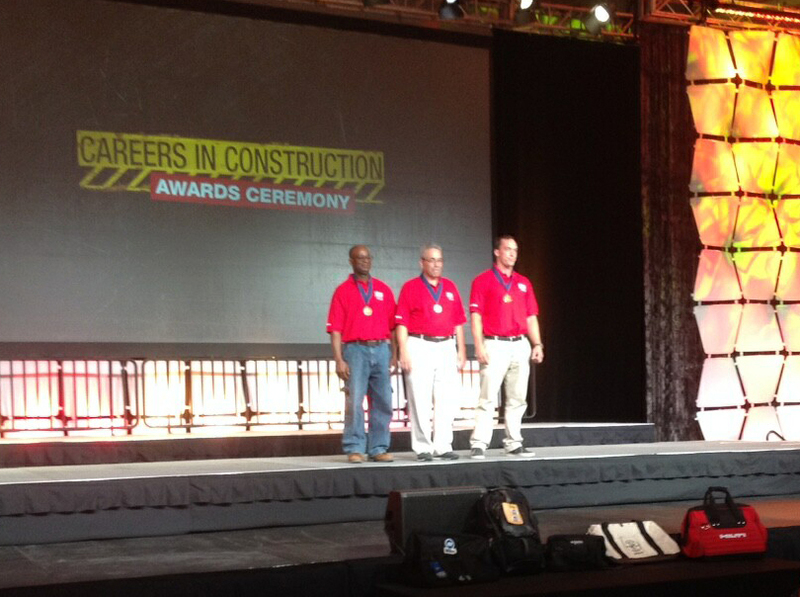 Pictured left to right: Bronze Medal Winner- Gatien Cesaire (MEF Apprentice), Silver Medal Winner - Abner Torres (MEF Apprentice) and Gold Medal Winner - Maxwell Bond Kelley, employed by Kevin J. Brandel Masonry Construction. Training Sponsor: Florida Masonry Apprentice & Educational Foundation, Inc.
Abner and Cesaire are actively looking for employment with a mason contractor. For more information, please contact Julio Vazquez Julio@masonryeducation.org or 561-400-6345. 3rd Place National Winner Irvin Willoughby of Pascal Robertson, Masonry Inc.
Orlando, FL. – (March 9, 2015) -- The Florida Concrete Masonry Education Council (FCMEC) held a signing ceremony March 4 to signify their commitment to a program that will help fund masonry education and promotion in Florida. The event, attended by more than 30 industry executives from various companies was held in the Masonry Lab on the Mid Florida Tech campus in Orlando. Those in attendance witnessed industry producers A-1 Block, Argos Ready Mix, LLC., CEMEX Construction Materials Florida, LLC., Maschmeyer Concrete Company of Florida, Inc., Prestige Concrete Products, Supermix/Superblock and Titan Florida, LLC. become the first to sign on to support the Act by voluntarily contributing to the Florida Concrete Masonry Education Council, beginning April 1st, 2015. 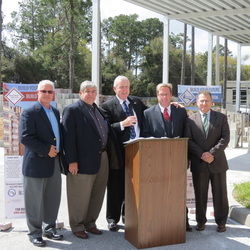 The council, appointed by Governor Rick Scott, is tasked with bringing together masonry manufacturers and contractors in an effort to plan and conduct training programs, improving access to masonry education, developing outreach programs to ensure diversity and informing the public about the sustainability and economic benefits of concrete masonry products. “This marks a momentous day for our industry and we look forward to implementing these important educational programs for masons across the state,” said FCMEC Chairman Troy Maschmeyer. 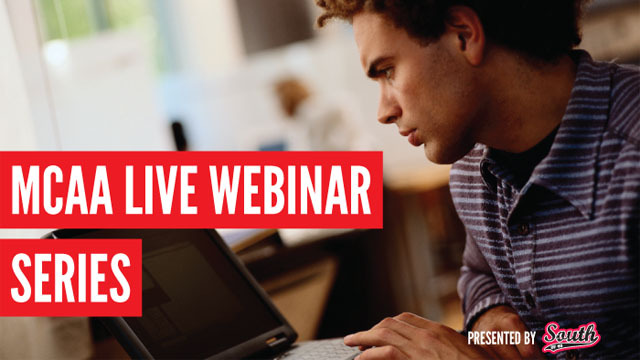 “We've been collectively working on this program for a very long time and we are enthusiastic about the many benefits it will bring to the industry." The Masonry Association of Florida & the Masonry Education Foundation will be exhibiting at the FAU Concrete Expo & Fair. Network with engineers, architects, construction professionals, faculty and students by joining Florida Atlantic University, the Florida Concrete & Products Association and sponsoring organizations to highlight the building and design industry. 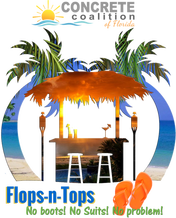 The 2015 Concrete Coalition of Florida Convention is the place to join other top minds in the concrete and masonry industry to discuss relevant topics for you, your company and your employees, all in a casual, “Flops-n-Tops” atmosphere. Grab your beach towel, your suntan oil, your favorite tropical drink and take a trip to the Keys with the Coalition. We’re traveling to Duck Key, a small, secluded Key midway down the Florida Keys. Join us for glorious sunrises and sunsets and a Caribbean Island feel. Our goal is to bring together all facets of the concrete and masonry industry to share ideas, help each other and expand our market share and horizons. 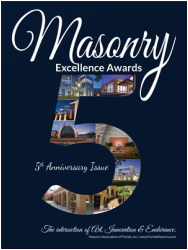 The Masonry Association of Florida is now accepting Awards submissions for the 2015 MAF Masonry Excellence Awards. The submission period runs from March 1 – April 15, 2015. First place winners in each category will receive a trophy commemorating their win, along with a $200 gift certificate. Please forward any questions to Deb Bartolucci deb@floridamasonry.com or Chris Bettinger chris.bettinger@oldcastle.com . 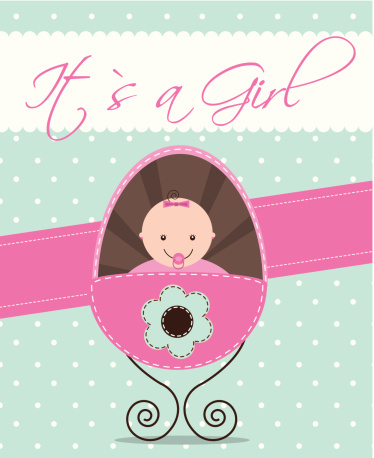 Congratulations to Justin Lord (Central Broward Construction) and his wife Marissa on the birth of their first child. Welcome to the world baby Evelyn! "You have to start them early!" stated Tallahassee Masonry apprentice program instructor, Robert Melgaard. Pictured below, Robert showing his daughter, Macyn (1) the proper way to hold a trowel! Welcome Keith Sommer to the Masonry Education Foundation We are very pleased to announce that Keith Sommer has joined the Masonry Apprentice & Educational Foundation as Director of Masonry Apprenticeship. 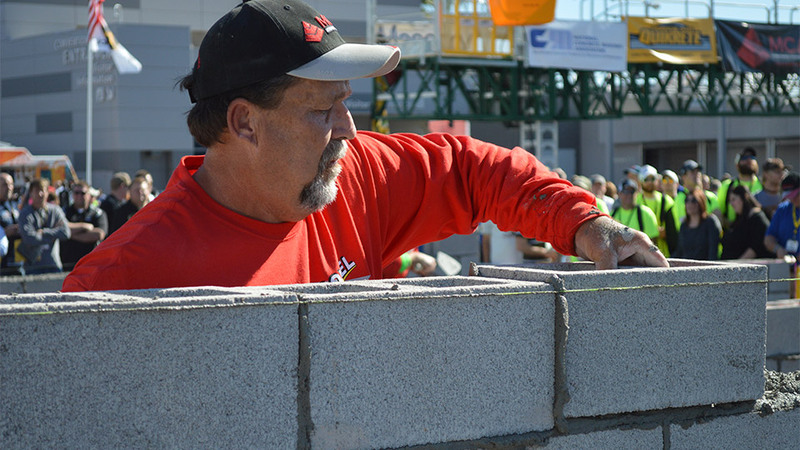 Keith will be responsible for expanding masonry apprenticeship programs throughout the state. Keith, formerly vice-president of Pyramid Masonry, has been very active in the apprentice and pre-apprenticeship systems for years. 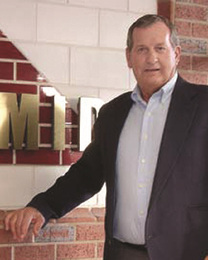 As a past Trustee of the FMA&EF and Chairman of the Masonry Association of Florida, he is very well versed in what is needed to restart and expand our existing apprenticeship programs. Keith is also a past Chairman of the Central Florida Chapter of the Associated Builders & Contractor, Inc. and past Chairman of the Academy of Construction Technology (ACT) organization in Orlando. Please welcome Keith to our Masonry Education Foundation team! 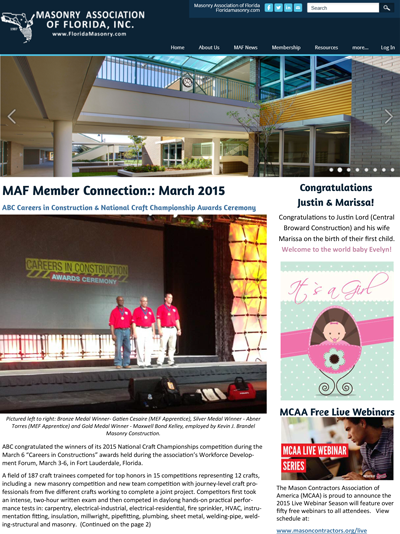 Download or print a copy of this Newsletter!